Wine Strip Tickets useable as drink tickets or for wine tasting events. Bright colors printed on heavyweight white paper stock. 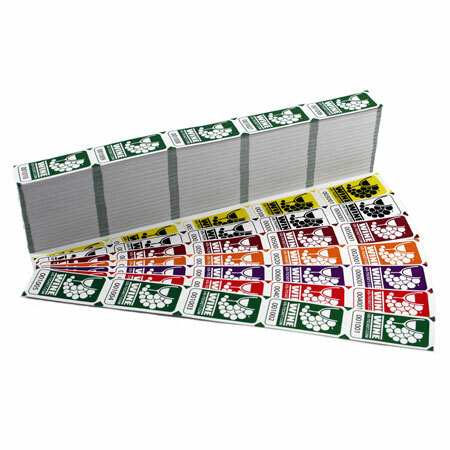 Packaged in strips of 5 for easy distribution (100 strips per package, 500 tickets total).